You'll be £20.00 closer to your next £10.00 credit when you purchase Great Western Halls and Modified Halls. What's this? Order within the next 8 hours, 4 minutes to get your order processed the next working day! The gradual growth of the railways in Britain during the late nineteenth and early twentieth centuries, in both passenger and freight traffic, saw the requirement for a more powerful and versatile type of motive power – mixed traffic locomotives. The construction of Great Western Halls and Modified Halls gave the Great Western a superb all round locomotive, and for thirty-six years they operated passenger and freight services over the Great Western, and later Western, Region. 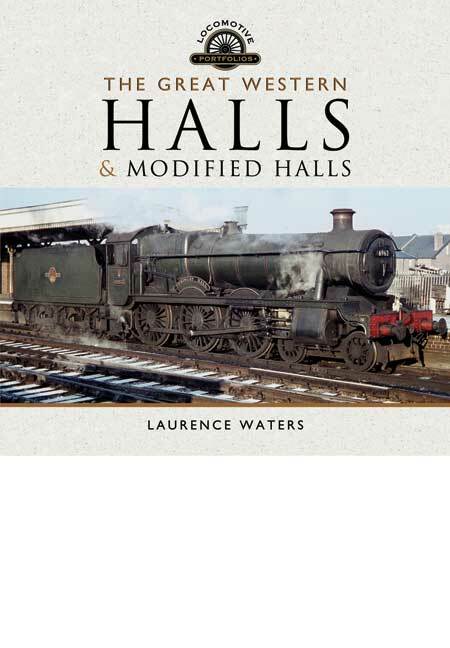 The Hall class were among the largest mixed traffic steam locomotives running throughout the country, and this book is the first serious volume to focus on them in fifty years. The book charts the history of both classes, from their construction and withdrawal, to their design, development and eventual scrapping. With over 200 black and white and colour photographs, accompanied by informative captions, many members of the class are excellently illustrated. It will appeal greatly to those interested in the history of Great Western Locomotive development. A comprehensive overview of the class. The work is magnificently illustrated, like all that make up this series spoiled by Pen & Sword Transport. 61 photographs in colour and 163 in black and white compose the visual file along with two planes with diagrams, weight, measures and load capacity of both Classes. A magnificent book both visually and historically speaking. A retired professional photographer and photography teacher. He has a special interest in local history, particularly local transport. He has an Oxford University Undergraduate Diploma in English Local History. Over recent years he has written, or contributed as co-author to a number of local history books. His main interest is the Great Western Railway, and the Western Region, and he has written a number of books on the subject. He is currently the Honorary photographic archivist of the Great Western Trust at Didcot Railway centre.